Next week's sale is the thirteenth of the Aristophil archives (apparantly, worries that these items are co-owned by investors in a hedge fund are no longer so burdensome), and the first to tackle the fund's scientific materials. 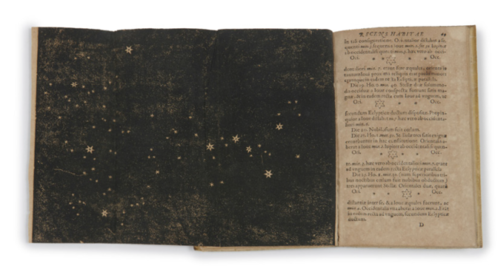 Items on the block are nothing short of breathtaking: a 1610 copy of Galileo's Sidereus nuncius (est. $18,000 to $30,000), a first edition of Darwin's Origin of the Species (est. $15,000 to $28,000), and even mathematician Charles de Bovelles' 1510 Géométrie en francoys, of which only three other copies of this edition are known to exist, with pre-sale estimates ranging upwards of $55,000.